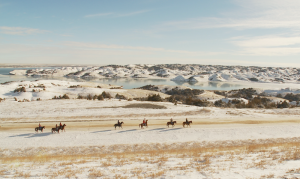 5:30-7:00 Reception hosted by American Indian Student Services in the Music Hall atrium next to Sateren Auditorium. Screening and discussion with co-filmmaker and producer Sarah Weston, moderated by Dale Weston. 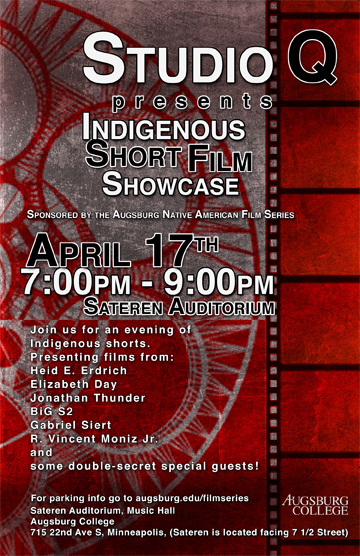 Thank you to our sponsors: the American Indian Studies Department and the Augsburg Native American Film Series. For parking and directions visit: http://www.augsburg.edu/inauguration/parking.html You may also contact M. Elise Marubbio at marubbio@augsburg.edu for parking permits. Permits are limited in number.